Qsymia is an FDA-approved brand name prescription diet drug that is prescribed by doctors for the treatment of adult obesity (e.g. adults who have a BMI of 30 or higher), or as a treatment for overweight adults (BMI of 27 or higher), who also have a weight-related medical condition, such as diabetes, high cholesterol or high blood pressure. Qysmia has been formulated to be used in combination with a doctor-approved diet that is reduced in calories, as well as a doctor-approved exercise and behavioral change program. Qsymia primarily functions as an appetite suppressant, making it easier for those who take it to stay in control of their eating habits and stick to a new calorie-reduced diet. More specifically, it combines two active drugs: Phentermine and Topiramate. Phentermine is a sypathomimetic amine. It effects the central nervous system and works to suppress appetite. Topiramate is an antiepileptic drug. Beyond its abilities to function as a treatment for epilepsy, it can also work to help make a person feel full. The appetite suppression effects of Qsymia are meant to serve two purposes. The first is to help reduce appetite so that the user can find greater satisfaction from small meals, which leads to eating less. The second is it helps to reduce overeating at meals and when snacking. Typically, the recommended dose is to take Qsymia once per day or as directed by your healthcare provider. It is important to take this weight loss medication exactly as it has been prescribed. Users should never increase or decrease their dose without first speaking with their healthcare professional. Altering a dose can lead to a higher risk of experiencing adverse side effects. 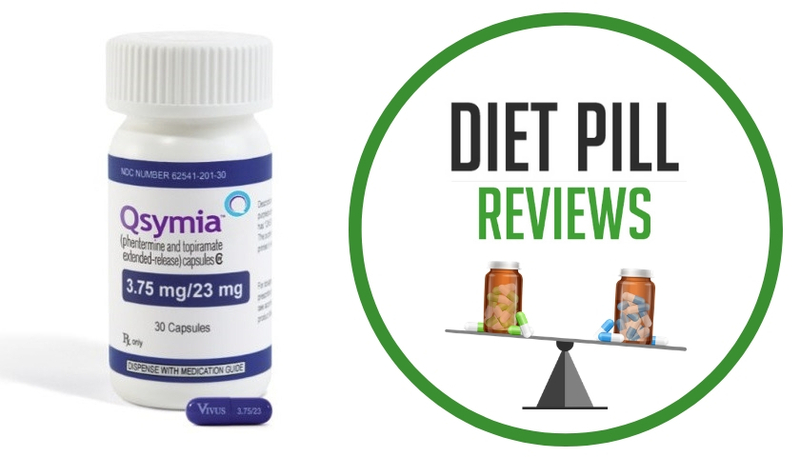 The official Qsymia website claims that, on average, those who take this diet drug once per day as recommended can lose 24 pounds or more and keep it off, as well as lower 4 inches or more from their waist. The average percentage of weight loss achieved is 10%. In terms of unwanted side effects, those associated with Qsymia include: dry mouth, stomach upset, blurry vision, constipation, nausea, diarrhea, sleeplessness, decreased appetite, muscle pain, unpleasant taste in mouth, heartburn, rapid heartbeat, urinary tract infection, back pain, upper respiratory infections, and abnormal sensations or movements in the toes/legs/arms/fingers. If you should experience any side effects or if minor side effects should persist or worsen, inform your doctor immediately. Also, remember that Qsymia tablets for weight loss may not be safe for everyone to take. For this reason, it is imperative that you tell your doctor about any past and existing medical conditions, or if you are taking any medications (prescription or non-prescription) or herbal supplements to treat a health condition. This product should not be taken by anyone under the age of 18 or if you are pregnant, nursing or planning to become pregnant. It should also not be taken by anyone who has not had it directly prescribed to them by their doctor.